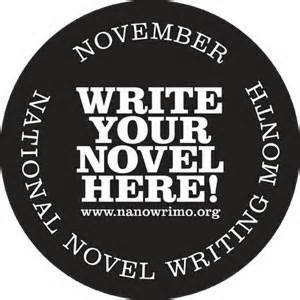 When I tell them that I’m participating in National Novel Writing Month their first question is invariably, “does that mean you are writing an entire novel in 30 days?” I don’t really know how to answer either because the answer is both yes and no. It’s yes because a novel is technically 50,000 words, and one of the goals of NaNoWriMo is to hit that mark, which technically means I have a novel then. But it’s no as well because a novel needs a beginning, a middle, and an end, and I am hardly able to completely flesh out all three in the span of 50,000 words. This year has truly been a labor of love because life interferes as it often does, so the goals I set for myself, while difficult at the outset, become even more fraught with a frantic dash to get each day in with a feeling of satisfaction. Does it wear me out? Indeed, but it’s a war of attrition, and I’m in it for the long haul, from the promising start on November 1st to the grueling completion on the last day of the month. I just hit that imaginary yet still satisfactory line of 50,000 words today, a full five days before the 30th of the month, but I’m still not finished my novel so I’m soldiering on. I have a beginning and a middle, and I’m just starting to approach the final portion of that triumvirate with a solid horizon in sight. And I want to thank every single person who has listened to me this month moan about it because it is still an accomplishment, and I am so glad I kept pushing forward, and that I keep striving to accomplish my overarching goal. To get that novel done. In 30 days. 5 days left, but yeah, that 50,000 barrier is still good to smash through.